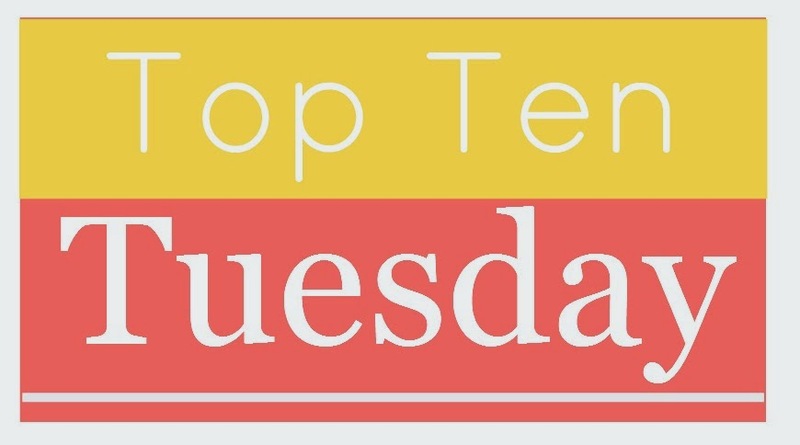 February 3: Top Ten Books I Can't Believe I Haven't/Want To Read From My Favorite Genres! I pretty much try to read everything on my favorite genres but some time things slip through the cracks so here's my list in no particular order! 1. The ABHORSEN Series by Garth Nix. 2. The MORGANVILLE VAMPIRES Series by Rachel Caine. 3. MODERN FAERIE TALES by Holly Black. 4. THE LOOKING GLASS WARS by Frank Beddor. 5. The ASPECT OF THE CROW Series by Jeri Smith-Ready. 6. THE FAERIE PATH Series by Allan Frewen Jones. 7. The LUMATERE CHRONICLES by Melina Marchetta. 8. The DEMON TRAPPERS Series by Jana Oliver. 9. The WINTERCRAFT Series by Jenna Burtenshaw. 10. The DUST LANDS Trilogy by Moira Young. So this is my list. What about you? What books haven't you read that you want to? And come back next week for Top Ten Things I Like/Dislike When It Comes To Romances In Books! I'm not sure what I'll do but it should be fun! Abhorsen is on my list,t oo! <3 Lumatere should have been. I have them all and can't wait to read them..someday! And...finish reading Looking Glass Wars. ^^;; Is Aspect of the Crow the series with one of them being called Shade? If so, me too! If not...I have those three. ^^;;; Someday! OMG, I still need to re-read the first Dust Lands book and re-read the last. Good choices, Jaime. A lot of these are on my list, too! THE MORGANVILLE VAMPIRES, YES YES YES. I haven't heard of many of these. Definitely some new ones to look up on Goodreads! I haven't read any of these. Shame on me!